Could eating eggs regularly be as harmful to your health as smoking?! A Canadian study published online July 31, 2012 in the journal Atherosclerosis reported this finding, though I have real doubts about the validity of their conclusions. These researchers sent questionnaires to 1,200 men and women (average age about 61) who were followed regularly in a preventive heart clinic. The study showed that regular egg yolk consumption was linked with plaque progression in the carotid (neck) arteries. Surprisingly, eating as few as three egg yolks per week seemed to predispose to an increase in plaque development. A larger and more impres­sive analysis of the egg dilemma came from the Physicians Health Study, which has been following 21,300 male doctors for 20 years. This study found that men who ate seven or more eggs per week were about 25 percent more likely to die from any cause compared to men who ate fewer than seven eggs weekly. Importantly, six or fewer eggs per week was not linked with in­creased risk of heart trouble or death. The cardiovascular risk of eating eggs seems to be higher in diabetics, probably because they are at such high risk for arterial plaque development, and thus are very sensitive to excess choles­terol in their diet. Egg whites are a wonderfully healthy, cholesterol-free and lean source of high-quality animal protein. Eating an egg white omelet with veg­etables like tomatoes, spinach, mushrooms and onions is about as nutritious as food gets. The USDA recommends limiting cholesterol intake from diet to less than 300 mg daily. A single yolk contains about 200 mg of cholesterol. I personally don’t miss the yolks at all, but if you do, try to limit yourself to not more than three yolks per week, and look for organic eggs that are high in omega-3 fats. Father Jim is a friend and patient who raises chickens for eggs. I buy these free-range brown eggs from him every chance I get. He treats his chick­ens as if they were his children. Just before dark, he checks to see that they are all safely nestled into their roosts for the night. He worries about owls and other predators getting his beloved hens if they are left outside when darkness falls. If any of the birds have been chased up into the tree branches, Jim (a spry 75-year-old) props a tall ladder against the tree, and climbs up to rescue the stranded birds. He gently scoops up the chicken and shoos it into the safety of its coop for the night. To my vegan friends who shun all animal products because they cannot condone eating animals raised in inhumane conditions, I direct them to an egg producer like Father Jim. These eggs come from hens who are nurtured with tender loving care, have the run of acres of chicken paradise, and wander about during the day feeding on bugs, seeds and other natural food sources. His chickens are about as happy and healthy as birds can be, and their eggs are loaded with wholesome protein that is ideal for rebuilding the tissue that is constantly being torn down in the course of day-to-day living. 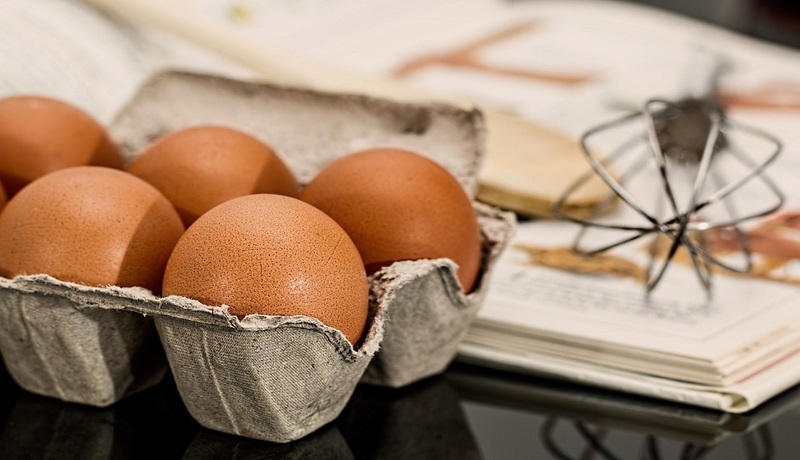 By adding ideal, clean protein, like organic fresh egg whites to your diet, you improve your health in many ways. Finally, eat locally grown food whenever you can. It tends to be fresher.